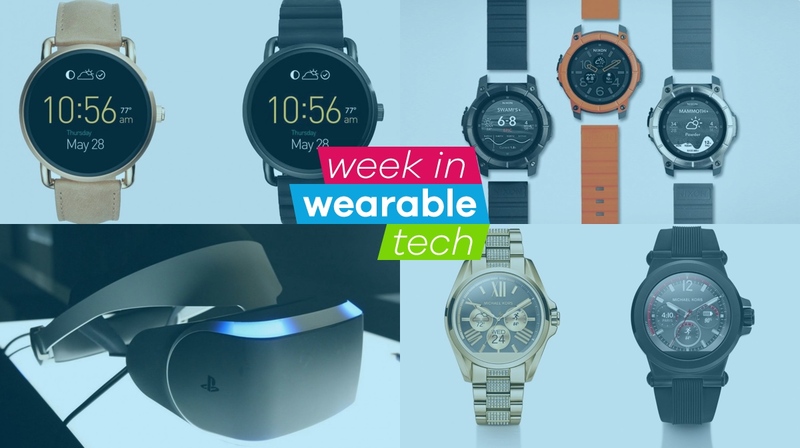 We've barely had time to catch our breath this week, such has been the frantic pace of the wearable world in the last seven days. We've had reporters on call in London, Basel, Austin and San Francisco, as the Wearable Tech Show, Baselword, SXSW and GDC all took place. PS VR will hit land in October 2016 for $399. The details were revealed at Sony's keynote at the Games Developer Conference. The news completes the pricing and availability of the big three headsets set to be released in 2016. See how PlayStation VR measures up to the Oculus Rift and how it fares against the HTC Vive. We got hands-on with the latest headset at GDC, check on our updated review of PlayStation VR. Nixon has joined the Android Wear party with its new super-water resistant and GPS rocking Android Wear debut The Mission. The Mission – yes that's its name, like The Edge from U2 – promises to be the ultimate adventurers' smartwatch, offering water resistance to 100m, encasing the new Qualcomm Snapdragon 2100 chip inside polycarbonate and stainless steel, covered with Gorilla Glass. We spoke with Qualcomm this week about the chips powering the next generation of smartwatches. We've already had a look at Fossil's most stylish new watches - the Q Tailor, Q Crewmaster, Q Mate and Q Glazer, over in Baselworld. They join two new Android Wear smartwatches: The Q Marshal and Q Wander, also announced at the Switzerland watch expo. Like the Q Founder, Fossil's first Android Wear watch, they cost $275. They will be available in both 42mm and 46mm sizes with the difference being that the Q Marshal has a rugged case and the Q Wander will come in various finishes with interchangeable leather straps. The Michael Kors Access Android Wear smartwatch line was also detailed over in Basel. There are male and female versions: a gold affair with jewels on the straps and a black rubberised number with a more defined bezel and larger lugs. It can be tough to keep track of all the Android Wear smartwatches. Luckily, Google has provided this handy timeline. Yes, it's becoming more commercial by the year but, without doubt, the coolest, hippest place to be this week was Austin, Texas, for SXSW Interactive 2016. Over in Austin, we got our first look at Sony's 'N' concept, got our hands on the Fossil Q Motion and put our ears in Samsung's new Entrim 4D headphones. We also spoke with the Zoological Society of London talks about its mobile VR project and had a peek inside Chaotic Moon's visions of invisible UI in future wearable tech.